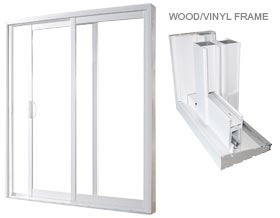 The industry’s most popular patio door, combining cutting-edge technology and manufacturing for outstanding reliability. The wood buck vinyl-clad includes premium options such as interior and exterior finishes, high-performance security options, and unbeatable glazing. Most doors are a standard size but there are multiple variations. Let us come and give you a quote. SKU: N/A. Category: 2 Doors.